Double Formula 1 World Champion, Sebastian Vettel, will appear at the Festival of Speed in July among a mouth-watering selection of cars and motorcycles from the current and yesteryear era. The media day at Goodwood has become an event almost in its own right! Legends of motorsport such as Jacky Ickx, Jochen Mass, Andy Priaulx and Richard Attwood were in attendance as Lord March announced the plans for Goodwood events in 2012. The Moving Motor Show will return for a third year on the opening Thursday of the Festival with Abarth displaying a range of cars and merchandise together with arranging test drives of their Abarth 500 and Punto Evo cars. 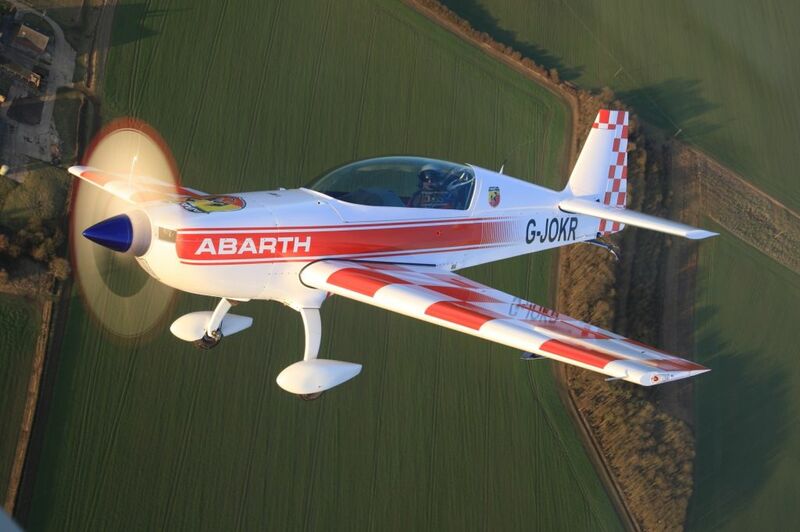 Lord March described plans for a new aviation show as down at Westhampnett Aerodrome (around which the Goodwood race track runs) the two-seater Abarth Extra 300L was on display – a clear link between the Aviation and Automotive exhibits. 7pm Moving Motor Show closes for the day.